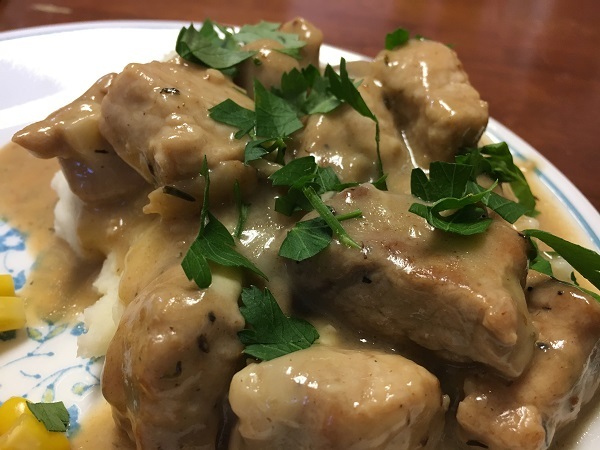 Pork with Mushrooms and Brie Sauce over Mashed Potatoes – Marie, Let's Eat! Our regular grocery store is Publix. We like the quality of the products and the cheapness of the buy one get one deals, but every so often they provide an additional benefit. 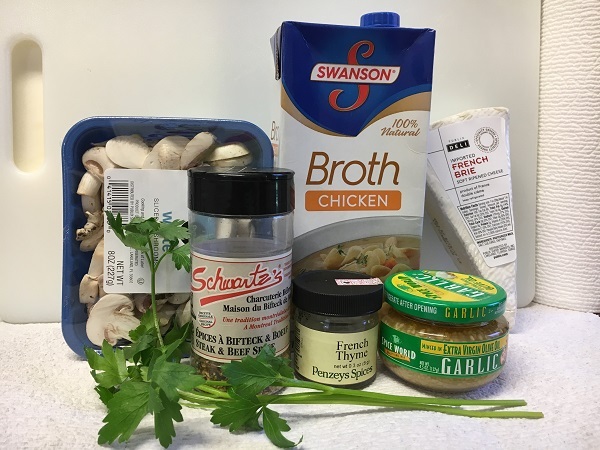 In this case, we were tempted by the delectable odors wafting from the sample booth, and picked up a recipe that we’ve tried twice now and enjoyed both times! I’m afraid we disappointed the server at the counter who must have had many people say “I’ll get that next week” but I actually meant it. I’d already decided what that week’s meals would be, and wasn’t about to change my list. But next week I put it on the meal list, and we made it. It didn’t impress the 6-year-old, but I suspect he’s going to have to put up with it a few more times over the years. Maybe it will grow on him. It’s fairly simple, and although there is a bit of moving things from pan to plate and back, it’s not super complicated. You could do it on a weekday, or use it as an easy Sunday meal. As with many things, the quality of the ingredients will have a big impact on how well it turns out. 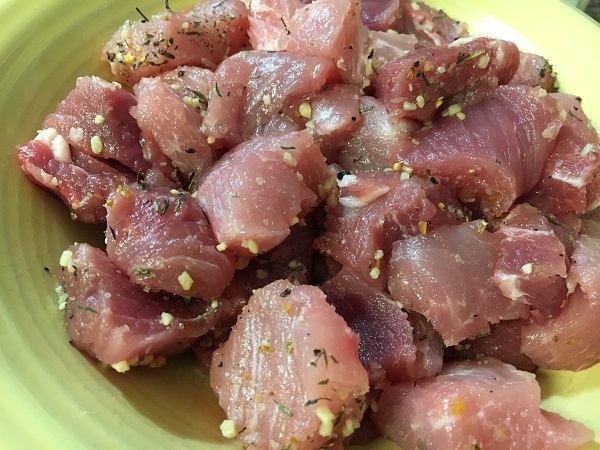 Don’t substitute cheap pork! it needs to be tender with a fairly brief cook time. 1) Cut the rind from the Brie, discard rind, and dice the cheese into chunks. 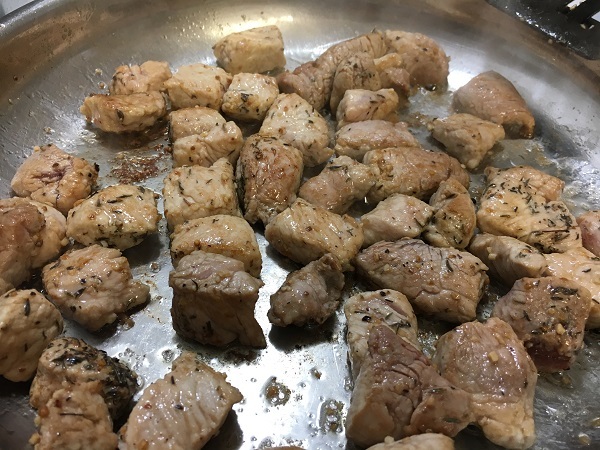 4) Melt 2 tablespoons (or more, if you’re like me) of butter in the pan, and brown the pork – don’t cook completely but do make sure they’re more than seared. 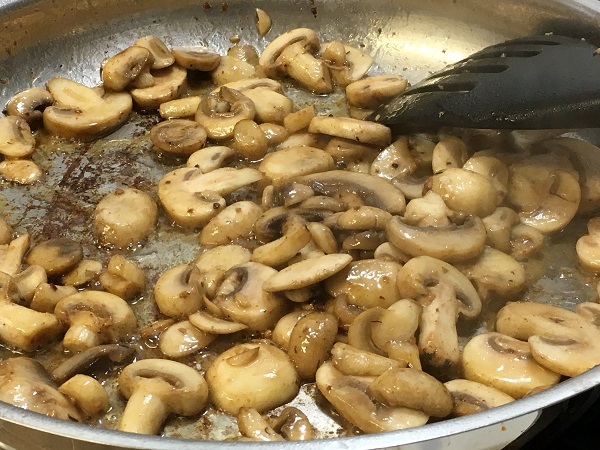 6) Place remaining butter, thyme, garlic, and mushrooms in the pan and saute until tender, about 3-4 minutes. Microwave the refrigerated potatoes if you didn’t start peeled potatoes in boiling water 15-20 minutes ago already. 8) Remove from heat, stir in the Brie, and stir until just melted. Serve immediately over the mashed potatoes, before the cheese tries to clump back up. Sprinkle with parsley, if you like that. I hope you enjoy this. Let me know if you try it, and if you change anything – I might want to try your tweaks! Posted on June 29, 2017 by Grant G.Posted in marie writes, our kitchenTagged cooking, marie writes, our kitchen.